One of the most dynamic and creative partnerships of all time was John Lennon and Paul McCartney. 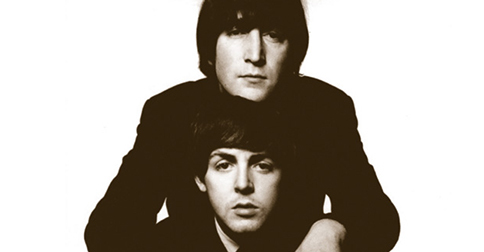 Few true partnerships relied on and fed off of each other more than John and Paul. Getting an explainer or intro video created can be similar in some ways if you have a good producer. The producer can be the Ying to the clients Yang and can push the client to create a far more interesting and entertaining intro video than they may have originally dreamt of doing. The client/producer working relationship should be a challenge and provide balance to the explainer video process. Ultimately this delicate balance should help deliver a much more impactful video. John Lennon was known as the rebellious member of the Beatles. Not that a producer of an explainer video is going to be rebellious, but they should be challenging the client. Many times the client is too close to the product or service to look at it objectively and it’s a good producer’s role to be cut throat in trimming a story to its core message. Sometimes this can be painful for a client because this product or service is their “baby”, but it’s a good producer’s job to challenge them if something needs to be dropped to tell a better story. John was also known to be an “agitator” and if a producer isn’t asking the hard questions and forcing the client to think every aspect through, he or she isn’t doing their job correctly. Lennon was known to take criticism well and was open to hearing what others had to say. An explainer video producer needs to be able to take constructive criticism well and not get offended. Ultimately it’s the client’s video, not yours and a good producer needs to be open to change. Paul McCartney always carried a notebook around with him and was organized and thorough in his approach. The client knows their product or service better than anyone. They’ve spent months or years creating it. So they need to be prepared. They need to know who their target market is. Who is this person? What do they like? What’s going to appeal to them? Why does this person need this product or service? The client’s in depth knowledge and systematic approach to this is going to be critical to producing a great explainer video. If you aren’t speaking to that target directly the explainer video is going to miss the mark. Paul was also known for being thoughtful and cautious. So as much as it is a good producer’s job to challenge the client to push the envelope, it ultimately is the client’s job to know how far is too far and to push back. Of course you need to have a little McCartney in you if you are an explainer video producer; keeping an organized and tight production schedule is critical after all. And you need a little Lennon in you if you are the client. Being open to new ideas and trying something a little crazy or different you may not have considered before will make your explainer video that much better. Despite the obvious differences in character, but also because of their differences, Lennon and McCartney’s work was brilliant. They are possibly the most productive and creative duo of all time. The client/producer relationship should be smooth but always pushing each other to produce the most entertaining and engaging intro video possible. While not likely to be as prolific as Lennon-McCartney, with any luck your client/producer relationship will produce at least one hit; hopefully it’s your explainer video.